Rhine river region is the most romantic region in Germany as well as one of the busiest rivers in the country. 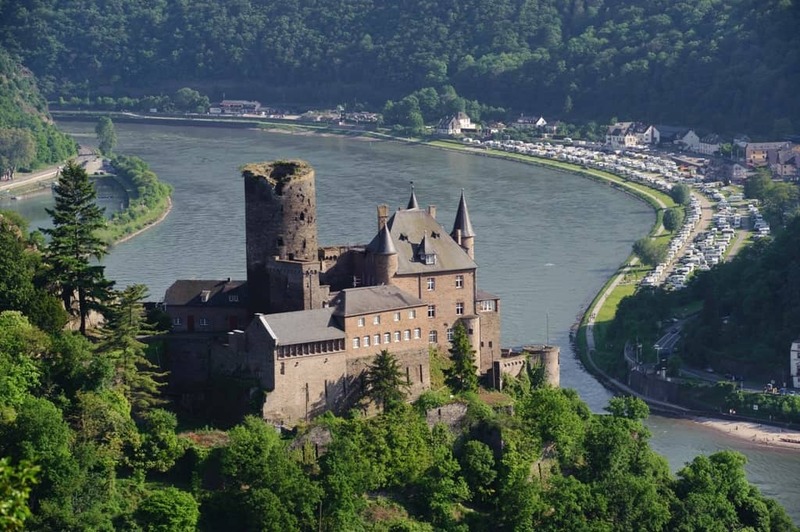 The main attraction are definitely the castles along the Rhine river. 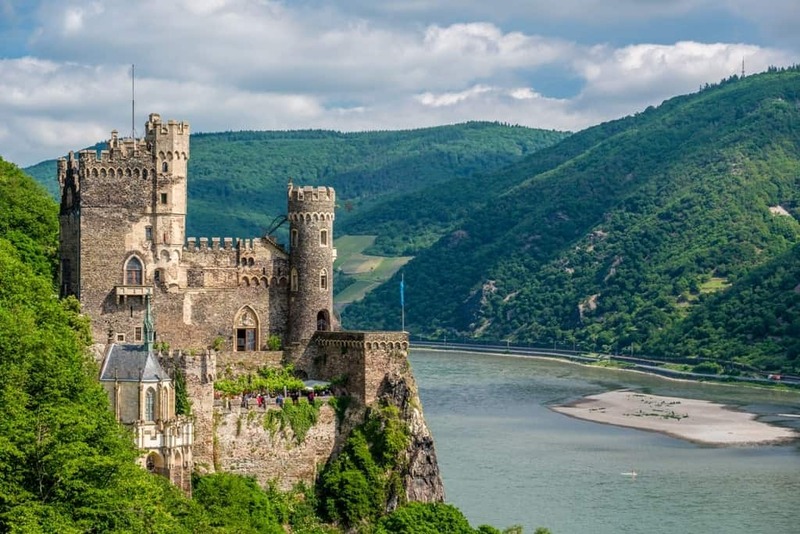 There are over 40 castles along the Rhine which are now turned into luxurious hotels, restaurants and museums. Travelers love to cruise the river just to castle watch. 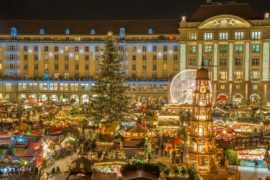 This part of Germany is also known for the wonderful wine which has been popular since ancient Roman times. This is the place to try a perfect glass of white wine made from the best white wine grape – Riesling. 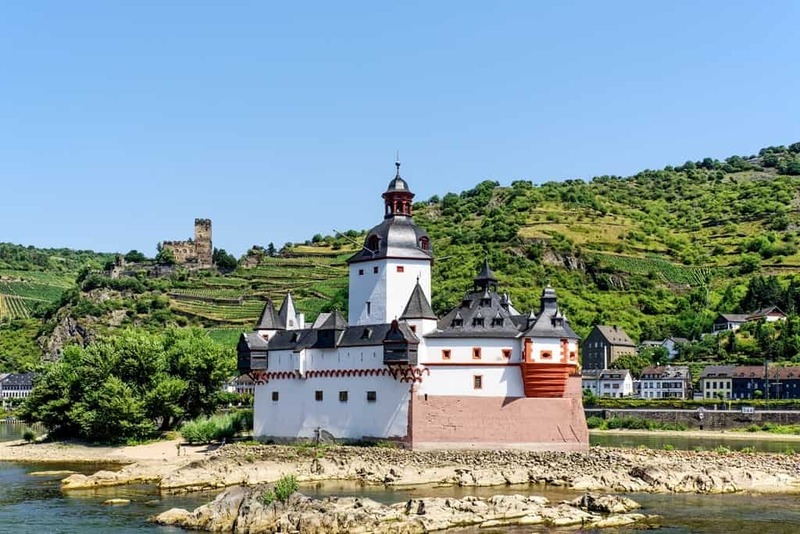 The only Rhine river castle that has never been destroyed or damaged. 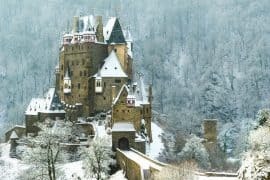 This castle is a typical medieval masterpiece with interesting interior rooms such as wine cellar, gothic hall, chapel, horse stable and bedchambers. It is located just above the small town of Braubach. The largest and the most interesting castle ruin to visit. Tourists are amazed from the labyrinth of trenches and tunnels which can be visited. Entering the museum in the castle, which is located in the former chapel is a must. You can have a great meal in the restaurant near the castle, as well. 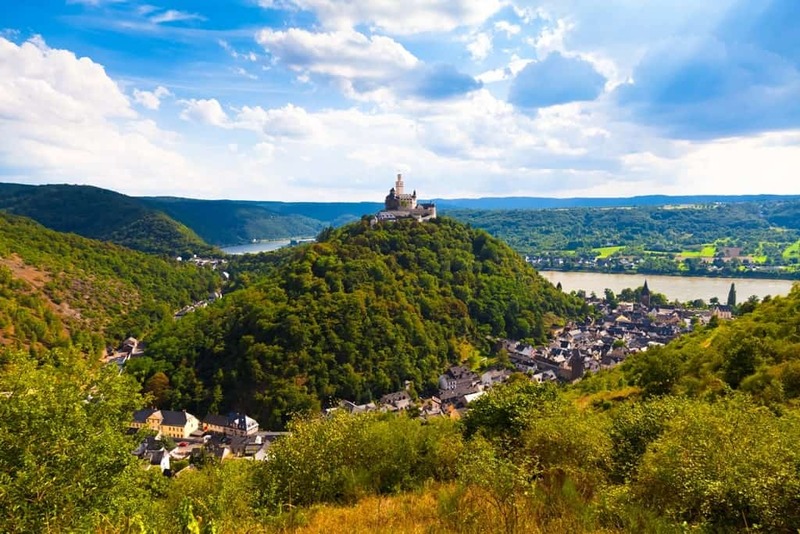 It is located about 300m above the Rhine river, with the most beautiful landscape behind it. When entering the castle, don’t miss out on the most beautiful part of the building, which is the Knight’s Hall. This is a room with a huge stained glass window and three-dimensional paintings. The castle also has a café and a gift shop where you can buy handmade wooden souvenirs. Or as people like to call it Cat castle, stands on the ledge looking downstream at the river. 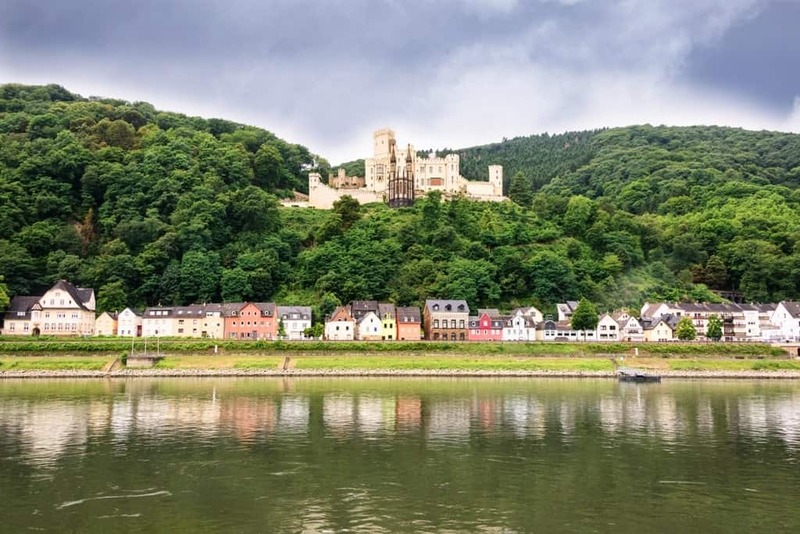 The architecture style of the castle is majestic, you can see it while cruising the Rhine river. The castle which has turned into a marvellous palace fascinates tourists from all over the world. 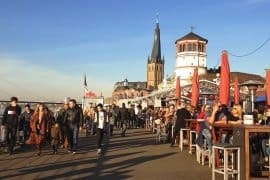 It is located on the left bank of the Rhine. Despite the luxurious furniture in the palace, what is even more luxurious is the view of the Rhine Valley from the terrace of the palace. In the middle of the river you can see a small island on which the Pfalzgrafenstein castle is built. This is a small castle and was served as a toll house in the past. This is definitely of the “must see” sites in Rhine region. This is a castle on the top of the hill above the town called Bingium. This whole hill was a part of defensive belt which was surrounded by a wall. Today, this castle houses the city council. This castle is turned into one of the most popular youth hostels in this region. It is ideal for family and school trips where you can play table tennis, pinball, piano in your leisure time. A perfect place for you and your friends. Since there is a Katz (Cat) castle it would only be logical if there is a mouse castle. These castles were spying on each other and therefore it was said that the castle was the mouse which will be eaten by the Katz (Cat). Unlike the other castle, the Maus castle was never destroyed. 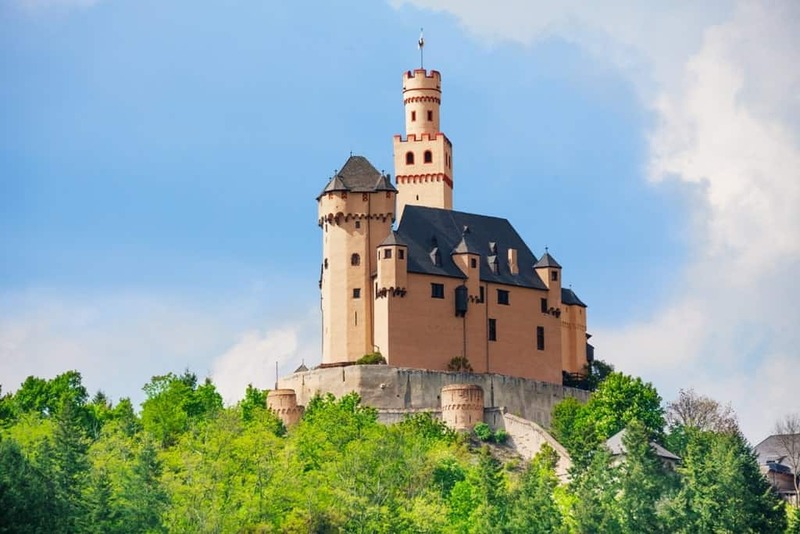 This is a classic example of the castles from the Rhine Romanticism. This castle is privately owned but you can visit it by taking the tour. What is worth seeing is the beautiful furniture in the castle. This castle is turned into a luxurious hotel. Schönburg Castle hotel has wonderful garden through which you can take a walk as well as the restaurant where you can have delicious meals or have a glass of wine on the terrace. You will definitely pass by this breathtaking castle while on a cruise. The most interesting part of the castle is definitely the Knight Hall where you can see a picture of a Prussian soldier on the wall. What is interesting about this picture is that wherever you stand in the room, the eyes of the soldier will follow you. 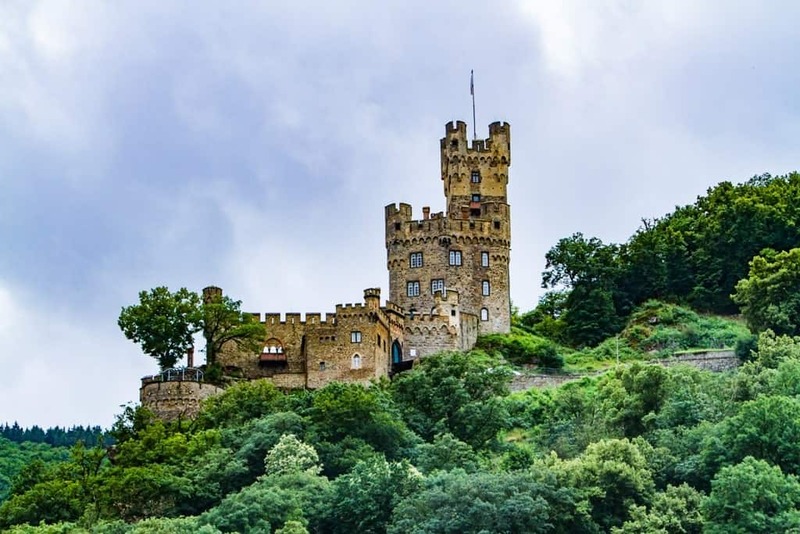 This is the highest castle in the Middle Rhine Valley in Germany. 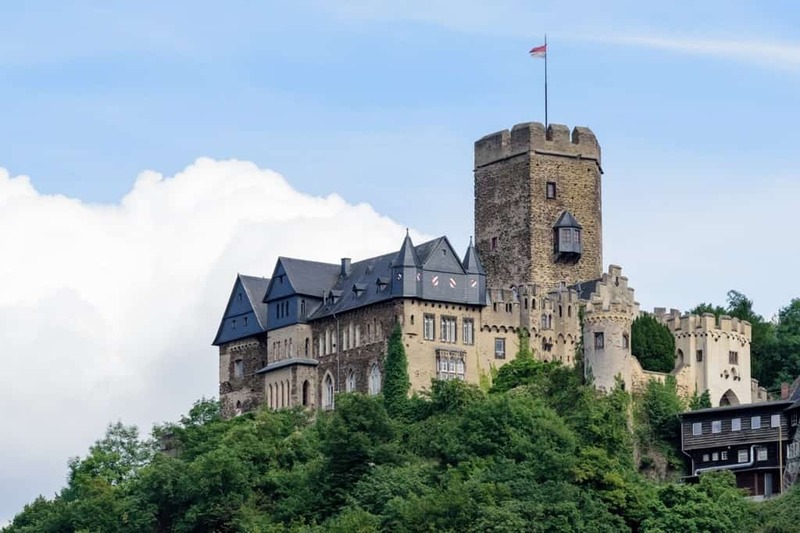 This beautiful castle is turned into a luxurious hotel and restaurant where you can enjoy your stay and eat delicious food high above the Rhine river. This castle is separated from the Liebenstein castle by a stone wall. 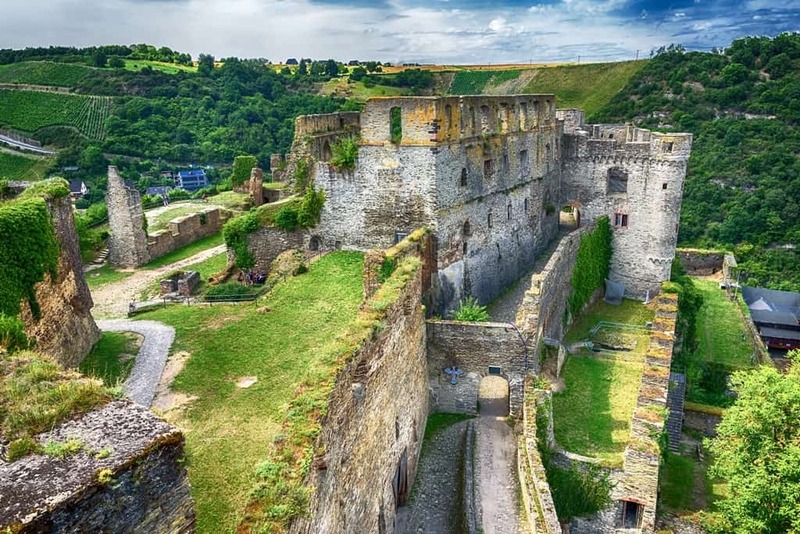 These two castles are known as the “Hostile Brothers”, and are the only castles in Rhine region which are this close to one another. This castle is, like the one next to it, a beautiful hotel. 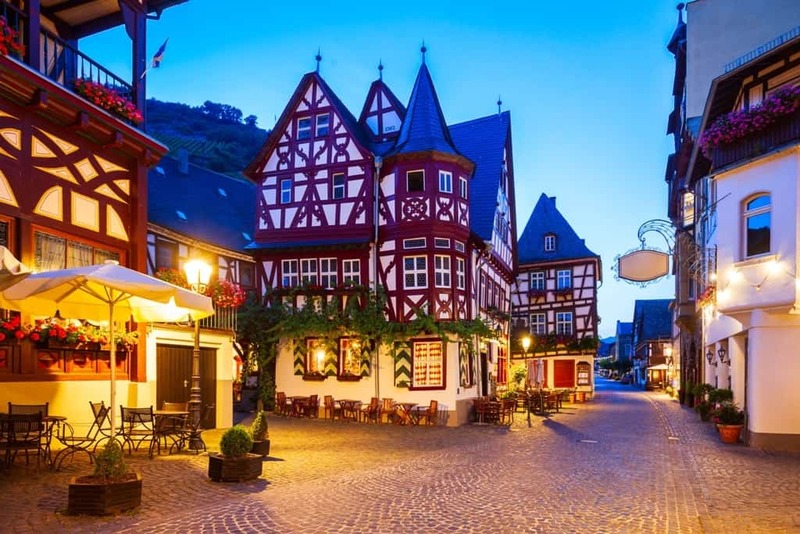 The prettiest town in the Rhine valley. This is a small town but before 15 fires and the plague in which half of the population has died it was a pretty big city. 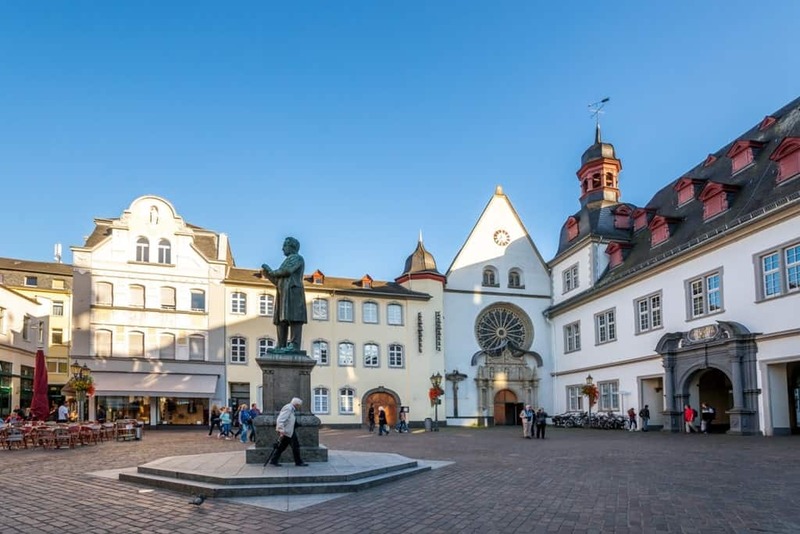 In medieval, this town was the capital of Germany. 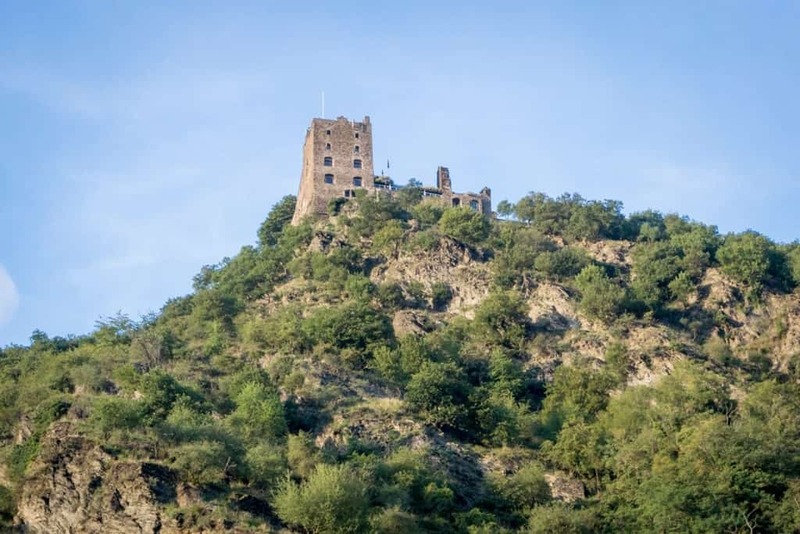 In its heydays, Bacharach was forfeited by a great wall which you can still hike on above the town. At one time, there were 16 towers along the wall, 6 of them survived. The wall extended all the way through the castle. Today, this town is associated with the wonderful wine. Bacharach has a long tradition of vintners making wine and offering their label to the tourists. This town has an interesting way of pronunciation, which is “bo-part”. 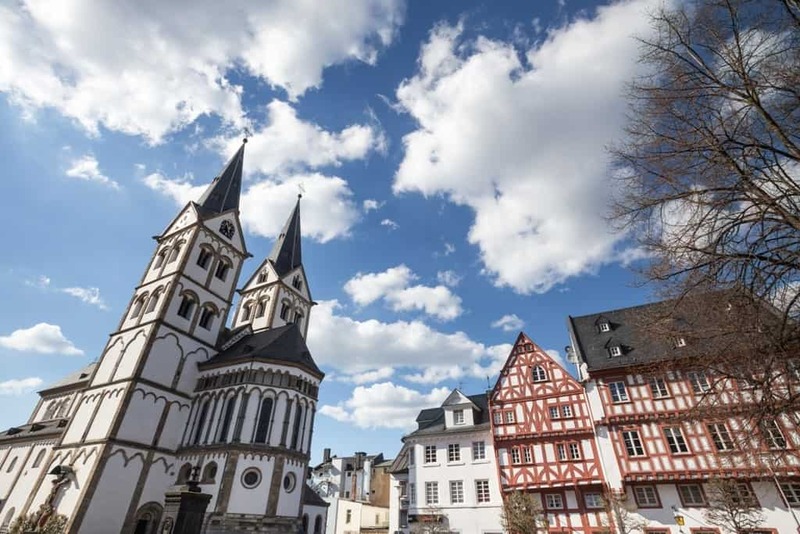 People who are fans of quiet and restful places will definitely love this town, which lies on the upper Middle Rhine. 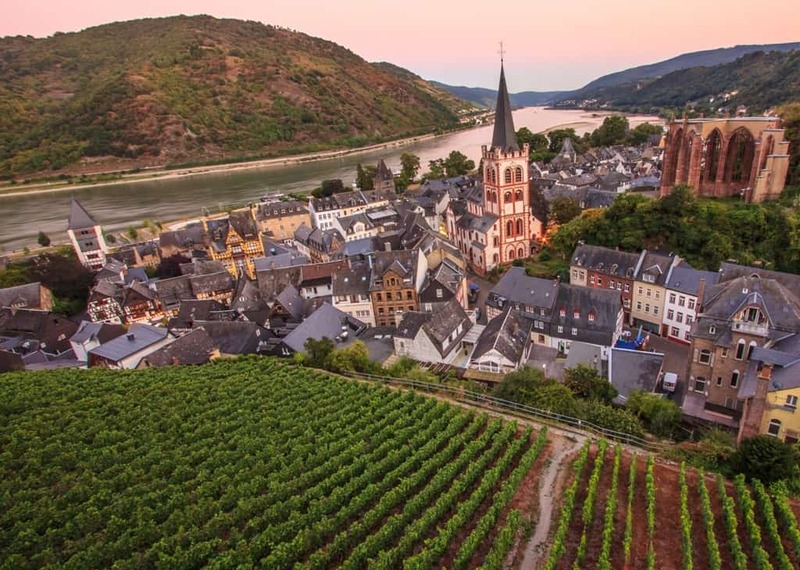 Like other towns along the river, Boppard is also very popular for its beautiful white wine and it is actually one of the biggest wine centres in the Middle Rhine. 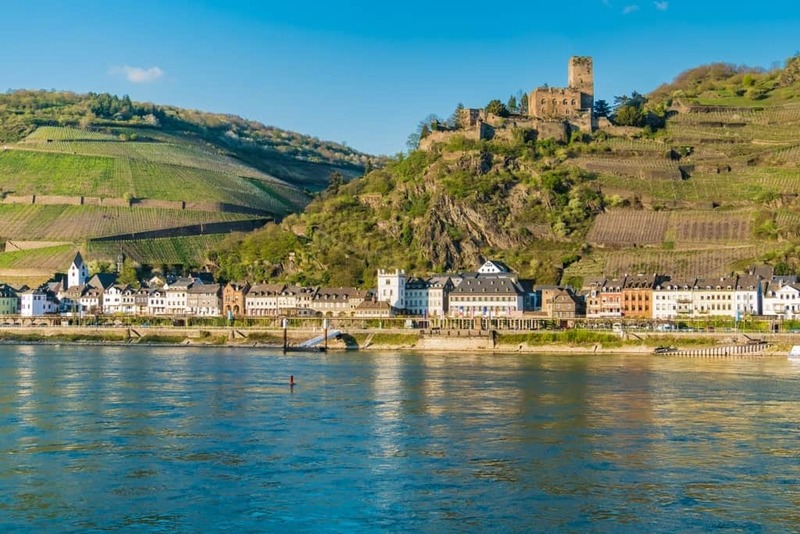 The mighty Rhine is joined by the Mosel river at Koblenz – Germany’s oldest city. The city’s name comes from the latin word for confluence, a reminder of the region’s roman past. 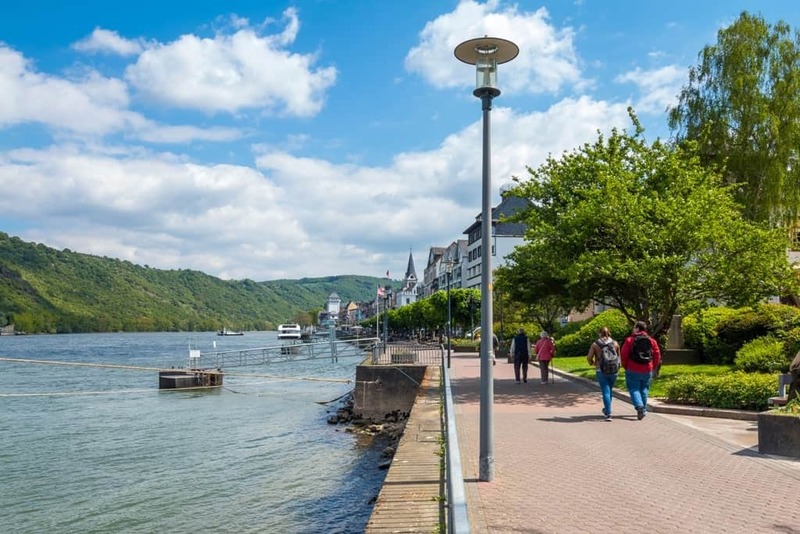 This point where the two rivers meet the Deutsches Eck or German Corner is the tourists’ jumping-off point for exploring the dreamy Mosel. This is a city from which you can see the most remarkable landscapes of vineyards, 4 mountain ranges and forests. 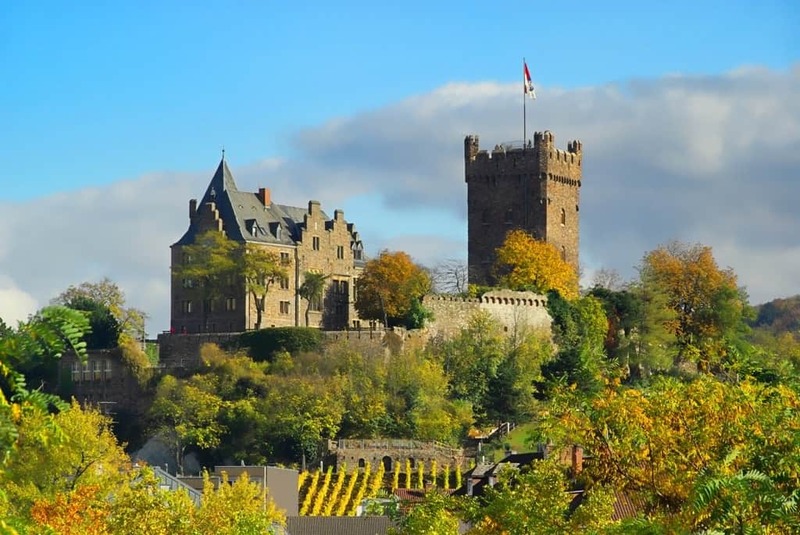 Koblenz is the most diverse city in Germany, because it has everything, from churches and castles to cable cars. 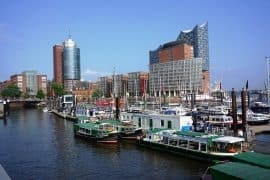 If you are travelling by your own car or have rented one, there is a perfect and easy way to explore the German castles on the Rhine by just following this simple route. You will have a route which is 65km (40 miles) long, from Koblenz to Bingen. 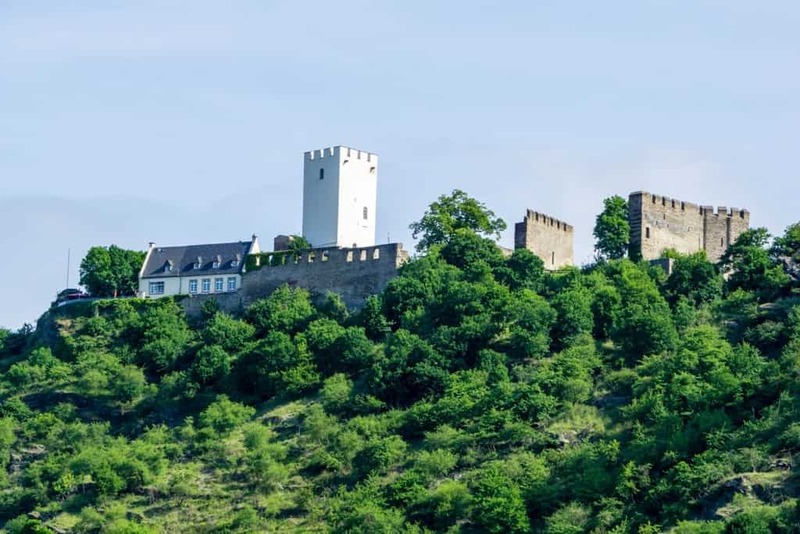 This route is placed right next to the river, so that you can have an amazing view of the landscapes and the castles along the Rhine. This scenic drive has 2 parts, the upper part from Bingen to Koblenz and the lower part from Koblenz to Bonn. 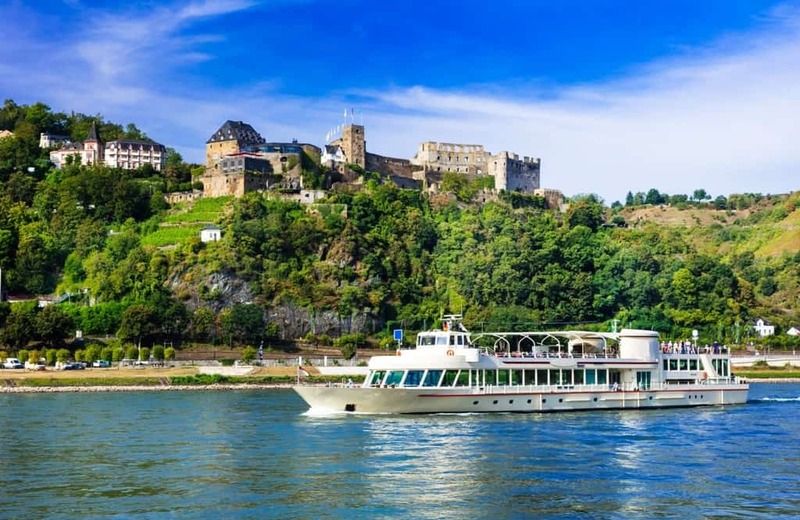 Cruising the Rhine is always a good idea! 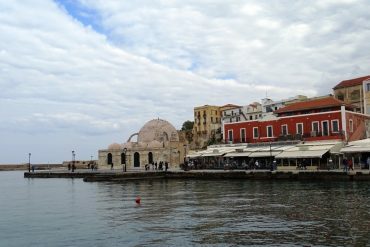 There are regularly scheduled daily trips between May and October, you can choose your date and time of departure. You can have breakfast and lunch buffet on the ship. 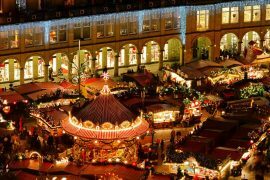 The ticket price is around 50 euros per person and around 30 euros for children. 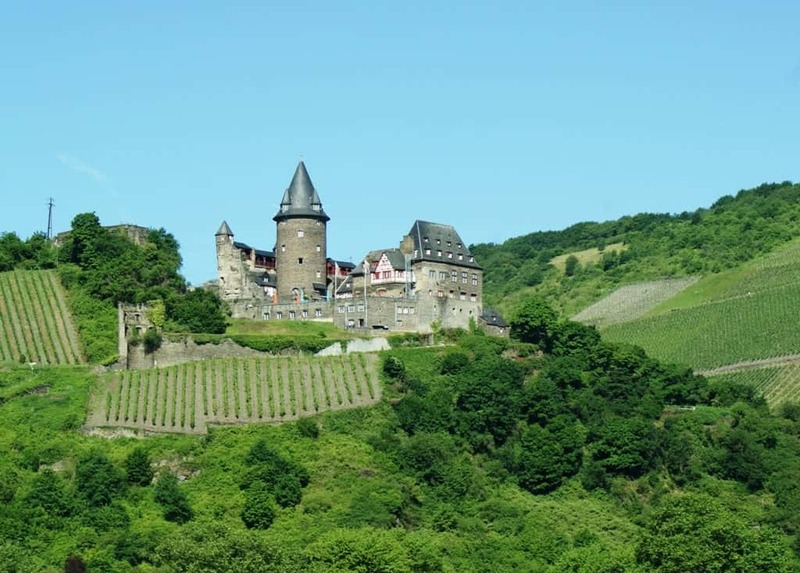 If you are up for it, you can book a multi day cruise that includes the Rhine valley castles. 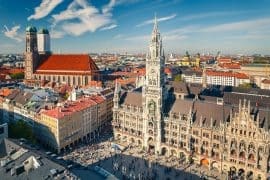 This is a perfect way of exploring this part of Germany and visiting many German cities. Your meals and drinks are included in the price, you don’t need to think or to worry about anything, your only job is to enjoy the ride. Many companies like Viking offer these kind of cruises. 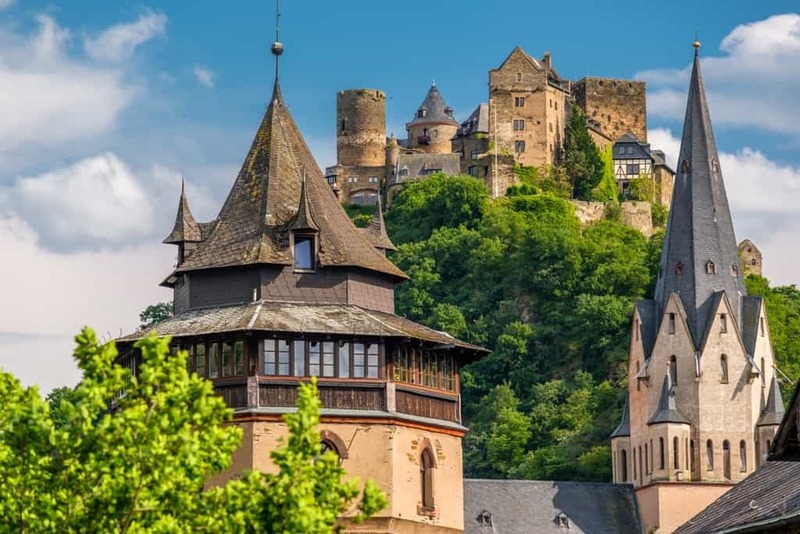 Rather you are planning a voyage or a trip, traveling by car or by train, you will make no mistake by choosing to spend your vacation exploring middle Rhine castles in the most magical part of Germany. After all, we all daydream of sipping a glass of beautiful white wine on a big terrace looking upon beautiful mountains and castles, why wouldn’t you make your daydream happen?